But where, and how, do you get started? Here are three tips that will help you get started without breaking the bank. A good home lab takes time and money to build up. You won’t be able to go out and buy a few servers, shared storage, and decent networking gear to run a miniature enterprise environment in your basement. If you’re just starting out or branching into a new area, you might not need systems that can do a lot of heavy lifting. An older desktop, or server, might not be on the hardware compatibility list or even offer great performance, but it could be the starter environment that you use to get your feet wet on a platform. Your lab doesn’t need to run on separate hardware either. VMware Workstation (Windows/Linux)/Fusion (Mac) and Virtualbox are two virtualization products that allow you to run virtual machines on your desktop or laptop. GNS3 can run Cisco IOS without having to buy actual Cisco hardware. Performance won’t be the greatest, and it is very easy to bog down your machine if you aren’t careful, but it can be one of the fastest ways to start getting hands-on without a significant investment. The enterprise-grade equipment that you’d find in an office or data center is expensive, and it is priced outside of what most people would be willing to pay for hardware if it was purchased new. But as you start working on more sophisticated things, you will want to get better equipment. There are three good ways to go about doing this. The first is to build your own servers. Chris Wahl has a nice list of whitebox servers that members of the community have built. The nice thing about this is that you can control exactly what components are in the system, and many of the designs listed have a sub-$1000 bill of materials before sales at Amazon or NewEgg. If assembling a server isn’t something that you have the time or inclination for, then you can buy lower-end retail hardware. ESXi runs on a surprising number of platforms, and the HCL includes inexpensive options like HP Microservers, Dell PowerEdge T110 II, and even the Mac Mini. Even a low-end server or Mac Mini maxed out with RAM can easily cross the $1000 barrier, but you get the peace-of-mind of having a manufacturer warranty for at least part of the machine’s life. Off-Lease. Refurbished. Pre-Owned. Whatever you call it, it’s buying used equipment. And like a day-old loaf of bread, it’s a little stale but still usable and much cheaper. There is still a lot of life left in the three to five year old equipment that you can pick up. Many of these servers will show up on the VMware HCL and run vSphere 5.1 or 5.5 without any problem. Depending on where you get them from, you may get a warranty. A few months ago, Scott Lowe took this route when building up his lab for OpenStack. He picked up two off-lease Dell C6100 servers that provided him with 8 blades, 16 processors, and 192 GB of RAM. Another possible source purchasing used equipment is your employer. Many employers, especially larger ones, are constantly refreshing equipment in their datacenters. Purchased equipment needs to be retained or disposed of, and your company may allow you to purchase some of that equipment if their policies allow. eBay, Craigslist, and local computer recyclers may also be good sources of equipment, and you can often get very good deals on items that they collected from a business. Caveat emptor applies whenever you buy used equipment. Although most local businesses and eBayers have reputations to protect, you may not have any recourse if the server you bought turns out to be a rather large and expensive paperweight. As you build up your lab, you’ll probably end up with an odd mixture of equipment. My lab has my PowerEdge T310 that I purchased new over four years ago and a T110 II from Dell Outlet utilizing used QLogic Fibre Channel HBAs that I picked up from a friend who runs a computer recycling business. The untimely death of MIcrosoft’s TechNet program hurt hobbyists and IT professionals by taking away a source of legitimate software that could be used almost perpetually in a home lab. That’s been replaced with 120-day trials. I don’t know about you, but I don’t want to be rebuilding a domain controller/DHCP/DNS infrastructure three times per year. I pick on Microsoft here because many of the workloads I want to run in my home lab are Microsoft-based, and I find it to be a bigger pain to rebuild an Active Directory infrastructure than a virtual infrastructure. VMware hasn’t had a TechNet equivalent for many years. There have been murmurings in the community that it might be coming back, but that doesn’t seem likely at this point. VMware’s trials only last 60 days on most products, although some, such as Workstation and Fusion, only have 30 day trials. 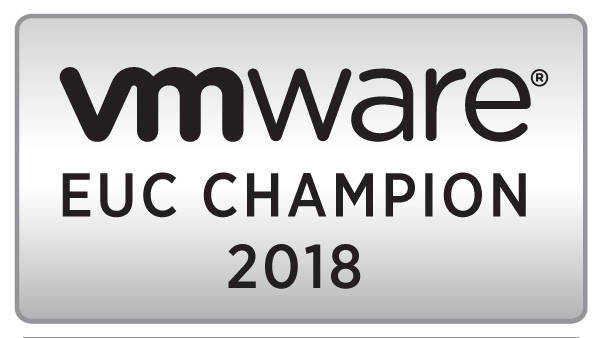 Although VMware has the free ESXi Hypervisor, the 5.5 version is crippled in that the vSphere client cannot manage machines with the latest vm hardware compatibility levels. If there are parts of your lab that you don’t want to rebuild on a regular basis, you will need to look to free and/or open source products beyond the Linux, MySQL, and LibreOffice that people normally associate with those categories. Some vendors also offer Not-For-Resale licenses, although some of those offers may only be available if you possess a Microsoft or VMware Certification. If you’ve ever read one of these types of lists on LinkedIn or the Huffington Post, you knew this was coming. Frank Denneman built a rack for his servers using two Lack tables from Ikea. Greg Rouche’s VSAN/Infiniband environment is built sans server cases on a wood bookshelf.